Apart from a battery that tends to die randomly and unpredictably once it’s south of a 38% charge, there’s nothing wrong with my iPhone 6S. While I’m hoping the Apple store will be able to do something about the battery, I wasn’t really in the market for a new phone. The device is otherwise in fine shape, and more than adequate for my needs. Which is, oddly, why I’m replacing it. When the iPhone 7 was announced, it was clear that my time on iOS was about to end. The only question was when. Initially, I thought I’d get the usual two years or so out of the platform and then jump back to Android. But with the release of the Pixels, that equation changed. Here’s how. There are some things I don’t like about the iPhone: notifications, for example, are just not usable for me. But there are a number of things I enjoy about the platform – iMessage being the most obvious. Several of the iOS applications are just better than their Android counterparts as well. Tweetbot, for example, is better than any Android Twitter client I’ve seen. Slack’s iOS app is pretty solid, for its part, while the Android version comes across as an afterthought. But the showstopper for me with iOS was the elimination of the headphone jack. Apple’s decision to replace it with a Lightning port creates two issues for me. First, while I accept that the 3.5mm jack will be retired eventually, I think Apple’s a couple of years early with this move. If Bluetooth headsets like Apple’s own Airpods were credible replacements for wired alternatives (and didn’t look so weird), that would be one thing. But if even Apple can only get five hours of battery life out of them – not even enough for a transcontinental flight – those aren’t viable for what I need them for. Particularly given that I have an expensive set of wired headphones already. But, you say, it’s not a big deal because Apple’s included a free dongle. Well one, I don’t want to deal with another dongle. Two, they have a way of getting lost. Second, if we assume that the headphone jack is ultimately going to be retired on all phones, I’d rather bet on a USB-C port than Lightning. Even Apple’s long awaited Macbook Pro’s will have USB-C. Lightning? Less likely, which means that you’d have to connect to laptop and phone using different connectors. That doesn’t make sense to me. If you’re going to ask me to dump a standard connector that works literally everywhere, I’d like it to be replaced by another standard connector, not one that will only work on some – but not all – Apple devices natively. Once Apple went Lightning only, then, I was going to become a former Apple customer. The question was when. Like a lot people, I was curious to see what Google had come up with the Pixels. As an Android customer, I have only ever owned Nexus devices (Galaxy Nexus, Nexus 7) or other devices that delivered a pure Android experience (Moto X) because I don’t believe Google’s Android OEMs had anything to add to the user experience. But even with the Nexus devices that carried Google branding, the company had limited control over the hardware. What would happen if Google had Apple level control over the device? We don’t know the answer to that and won’t for a while, but the early returns are positive. The Verge called the Pixel a “home run” and Wired’s reviewer is switching back to Android because of the device. It’s not a perfect piece of hardware, but then neither is the iPhone. The Pixel’s battery life is reportedly excellent, the camera is supposed to be very good, and the Google Assistant integration will be interesting to play with. As for the friction of leaving the platform, I deliberately do not rely on any applications or services with the exception of iMessage (and I didn’t turn that on until Apple provided a way to opt back out) that are platform specific. So the overhead to my switching back to Android is less than it would be for someone who was all in on iOS. The Pixel being a good phone wasn’t enough to make me jump, however. It was only after looking at the sale prices for used iPhones that a switch began to make sense. If I’m going to jump eventually anyway, it makes sense to do it sooner rather than later because I can sell my current iPhone today for more than I’d be able to a year from now, which helps offset a good portion of the Pixel’s cost. 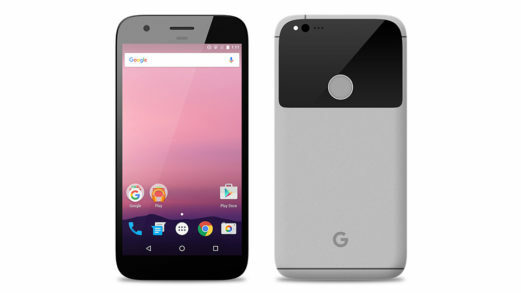 Given that the enormous size of virtually all of the Android flagships is the reason I switched to the smaller iPhone in the first place, how does the Pixel fare in that regard? The short answer is that we’ll see. It’s taller than the 6S, which isn’t a big issue for me. But it’s a tenth of an inch wider as well, and that could be a problem. It’s narrower than the Moto X that the iPhone replaced, however, and thinner to boot, so while it’s larger than I’d prefer, the hope is that it’s small enough. Worst case, I’ll return it and hang on to my 6S. In all likelihood, however, I’m off iOS for the second – and perhaps last – time. Assuming, that is, we don’t discover that Pixels double as incendiary grenades before mine ships in a few weeks.